His (Grandpa's) passing will most certainly affect me in ways I'm unable to imagine. I miss him so much already! We had so many great adventures and so much fun on the water. I wouldn't trade my life with him for anything in this world. He was always "real" with me about starting my business with a young family and what it would take, but he was always supportive and proud of what I've accomplished. Anyone who crossed paths with my grandfather was treated fairly and most became quick friends with this great man. He wasn’t flashy, nor was he rich, and had a strange obsession with silver ford trucks in the later years..lol (inside family joke) My grandfather loved his family and friends passionately and the only stern words I’ve heard him speak were in defense of either. Infinitely calm and resourceful; I can think of many occasions offshore when I was very young. Back in the days of very unreliable equipment, and half the technology. His ability to rig (anything) and machinist mind saved our asses many times. 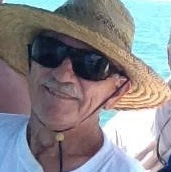 I’ll never forget the day long mask rings on his face as I scampered around the boat waiting for another diver to surface, and the boat loads of keys mahi. I remember the long naps on spray filled rides west (home) propped up against him and next to my dad (taking all the spray in his face) at the T-crafts helm. I remember when it became me taking the full spray in the face and hands gripping the wheel, instead of the child sleeping. Many people have influenced my life over the years. For better or worse! I can honestly say; I would not be the man I am without my grandfather. Many don’t get these opportunities, and I am so thankful I did. I am happy Grandpa can rest peacefully now and fortunate that he was with loved ones when he left us. No hospitals, no machines, just peace. 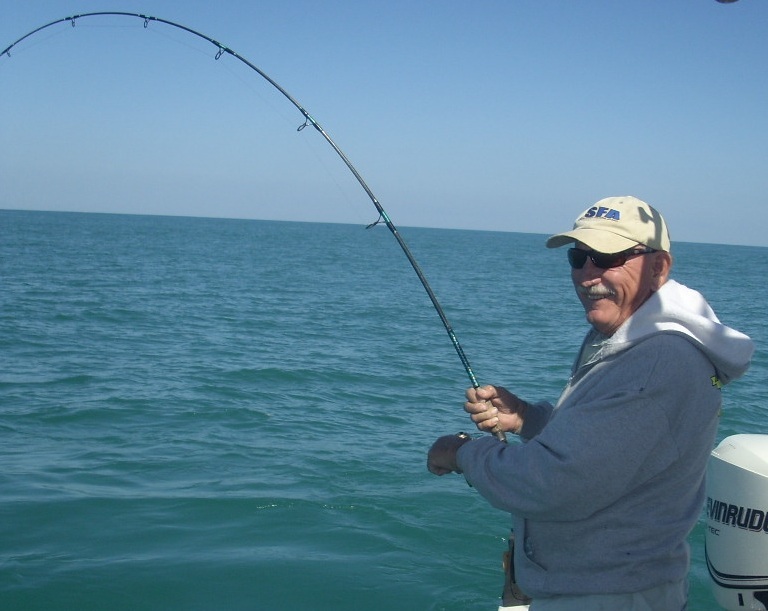 I wrote this in 2011 for Coastal Angler Magazine (below: Grandsons Thoughts). It’s funny how some of the smallest things can flood our mind and body with memories. For some it may be a certain smell, or the sound of laughter, and sometimes just the smile on a loved one’s face is enough stir your subconscious. For me an e-mail that contained several pictures of my grandfather on very successful day of cobia fishing from Port Canaveral let the memories flow. Though I was absent for this remarkable day; off spending the afternoon with my wife and kids playing on the Banana River. The scene of the elder Alex Gorichky (Sr.) with bent rod and a giant smile is one that has been watched by my eyes many times. Upon opening the picture I was swept back to my youth, as that salty skinned adolescent admiring the strength and poise of a great man. Another picture was not needed as my mind filled with the hum of an outboard, scream of the drag, and the sound of dad yelling “grab the gaff”. Fatigue of battle with one of the oceans great fish takes longer for grandpa to shake off these days, but his love for family and fishing always bring him back. Memories of all will stand the test of time, and even as we age a simple trigger will bring them back in a flash. I applaud all the men and women that envelope children in a love for the outdoors your contributions will ensure life long bonds and fill your memory bank. 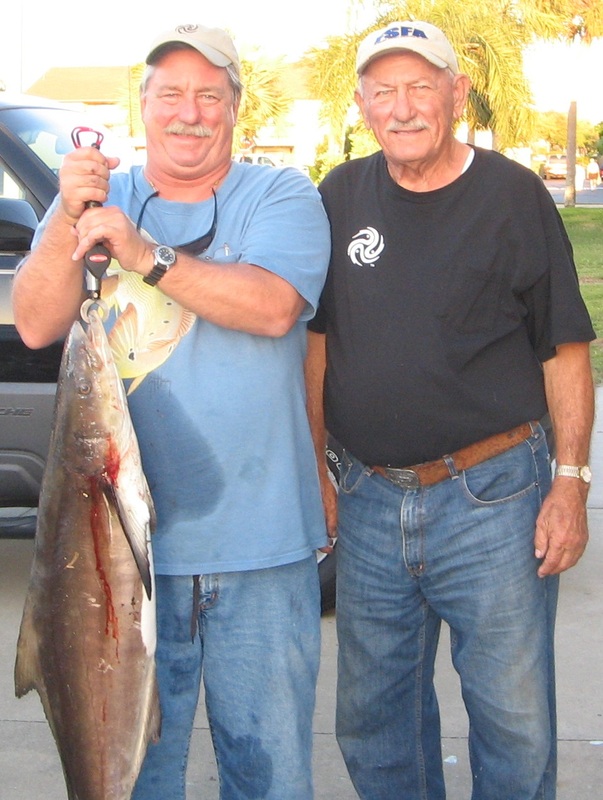 As for dad and grandpa a quick shot of grandpa’s fat cobia was all they could muster after a long day of battling. Though I believe a cold beverage and some cobia on the grill could put a little pep in their step. Just remember folks take a kid fishing, and if you have several take them too! You won’t regret it. If you run out of kids; volunteer at a Hook Kids on Fishing event for the Anglers for Conservation (AFC), we could use your help.